I have never been a big fan of pinks. let's not even talk about fuchsia. last one year I have been watching TV serieses a lot and wondered what made the actors look so fresh faced? I noticed all of them wore magenta, fuchsia and bright pinks which made them look so youthful! Being not a big fan of nudes, I loved the idea and experimented with a few lipsticks in this family I have. result? Compliments everywhere!! In that bid, I wanted a wacky kind of fuchsia/hot pink I had never worn before. So, I quickly got the Faces Moisture Rick lipstick in Ultra-pink. Description: It's a vibrant pink I describe it as a shameless pink which would appall anybody on first appearance. But if you are confident enough and are comfortable with bright colors, perhaps this is your soul mate. Even I, who's known for wearing bright reds in the day time and wearing it well ( see what a publicity!! ), got scared. But when I put it on, I loved it!! it made me look so fresh and bright!! I'd soon do a FOTD. 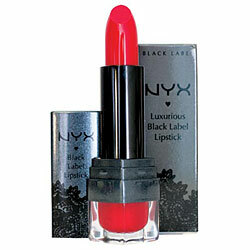 The lipstick itself if very creamy and glides on like a dream. One swipe is enough to give full coverage and stay put for a long time. It leaves a beautiful stain and if you just rub a lipbalm on it, the rich stain gives the impression of the lipstick being still there. So, you won't have to worry about reapplication that easily. It's moisturizing and doesn't dry out my lips. Doesn't settle in fine lines. The packing is not flimsy. Easily available at Faces counters and also online. Great selection of colors to suit all kind of skin tones. umm... can't really think of any. The packing could be a bit sturdier? really at this price I can't complain about anything at all!! This Christmas I am going reds and fuchsia. What about you? Such a pretty pigmented shade! I have peach blossom, first lady and pink wine from this range! fushia is always a hot shade to me........... so nice..
@manya: Ha!! dokan khulbi naki? @MUF: hahahah. So, I am witnessing the change in you guys. Even here are so many friends who didn't like lipsticks earlier. But are now into bright bright colors these days!! @Tanveer: Hahahaha! And I wanted that shade too. I had seen swacthed of it!! But yes, you can't wear these shades everywhere and not esp to your office!! @Kuheli: Awwww... *hugs* you just made my day!!!! @IBC: Thank you. Yeah! May be I'm in a flamboyant moon now! !